JOY Capo Squonk Box Mod is compatible with 21700 and 20700 batteries, providing a long-lasting device with great performance capability. iJoy Capo Squonk is an innovative squonker with high performance capability and functionality. 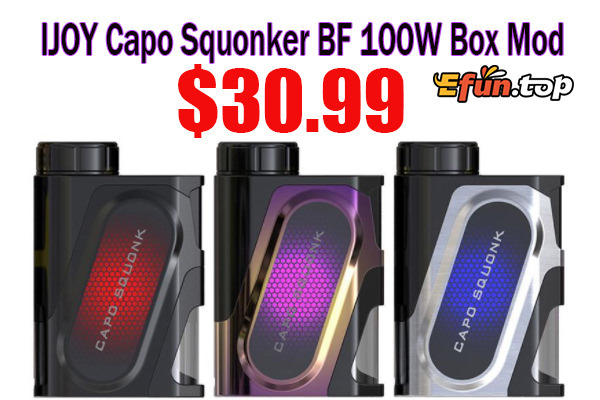 This bottom feeding capo squonker will be the perfect device for a squonking experience.